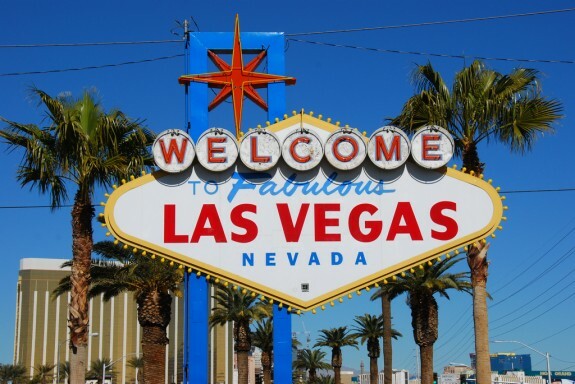 According to reports the NHL will soon expand to Las Vegas, Nevada. This is big news as it would indicate that the league is being proactive in naming expansion franchises. Las Vegas will not have AEG Arena complete until spring 2016, giving time for at least two years of prep work. If the NHL sticks with this philosophy then we could soon be hearing about a second expansion franchise in a similar manner, Quebec perhaps? Obviously this announcement will be met with some excitement but also its fair share of criticism due to the fact that Las Vegas is another non-traditional market. Hockey fans will be quick to make comparisons about the problems the Coyotes faced in another desert city. This is not to say that an expansion team in Las Vegas won’t face its fair share of problems, but to make generalizations before a team even comes into existence is absurd. Being born and raised in “The Silver State” leaves me conflicted because I am both excited to see NHL hockey come to my home state, but also wary because I know that hockey has struggled to succeed within the confines of Nevada. All I can do is offer up some insight that most hockey personalities do not have as I’m sure no one is very familiar with the history of hockey in the state of Nevada. My first hockey experience before seeing the San Jose Sharks live in 1997 happened right here in the state of Nevada. Contrary to what many people may think, hockey has existed in Nevada since 1968 but did not truly come into prominence until the nineties. During that time both Las Vegas and Reno had minor league teams. 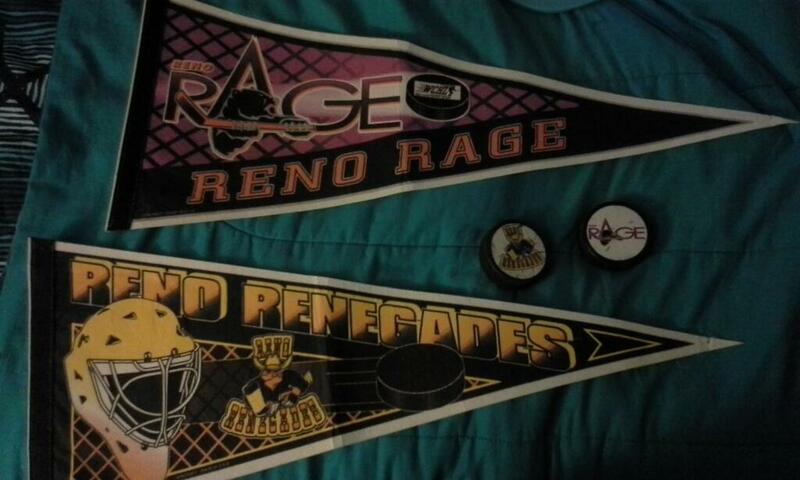 Reno, The Biggest Little City in the World, enjoyed three years of minor league hockey during the late nineties as the Reno Renegades and then as the Rage. They even boasted Manon Rheaume, the first woman to ever play an NHL game. Sadly, hockey folded in Reno after the 1998 season and for sixteen years now the city has been without the sport. In the Sin City, hockey was even more prevalent during the nineties. The Las Vegas Thunder enjoyed six years of minor league hockey while numerous inline hockey teams were also in competition. The Thunder even boasted notable NHL alumni such as Pavol Demitra, Radek Bonk, and Curtis Joseph. Sadly, the Las Vegas franchise met the same fate as their northern counterpart folding after the 1999 season. Luckily due to the larger fan base in Las Vegas the lack of hockey was short-lived. 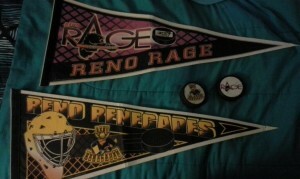 The Nevada Rattlers gave fans brief ice hockey entertainment until the Las Vegas Wranglers came into existence. The Wranglers have been in existence for over a decade and are the single most successful franchise in Nevada hockey history. Beyond the fact that the team is the longest running in state history the Wranglers have performed quite well on the ice finishing as the runners up as the ECHL champions twice. Currently the team has cancelled the upcoming season due to an expiring lease on their current arena but they will be back on the ice in to begin the 2016 season. On top of that attendance has not been a problem. Will hockey work in Las Vegas? Well given the recent success of the Las Vegas Wranglers there is a strong possibility. There are plenty of other outlying factors such as gambling, the economy of the city, NBA expansion and numerous other things but if you look at the bare bones, hockey in Nevada may just work. As a resident Nevadan I’ve been skeptical simply because I fear if it does not work it will cast a negative image on the place that I was raised. Still I cannot ignore the positives, nor can I forget what other non-traditional markets have done to become successful; Nashville, Tampa Bay, Columbus anyone? If the NHL goes into this expansion with a two-three year proactive plan they could easily avoid all of the problems that Arizona and Atlanta faced. If that is the philosophy of the expansion then I cannot help but endorse it. Bill Daly acknowledged the fact that the NHL has looked into the potential for a Las Vegas Franchise via Michael Russo of the Star Tribune. The NHL isn’t concerned about player activity, the gambling aspect or even the location. The local college, UNLV, has been excluded from gambling at casinos for years and it has not been a problem. The main concern is the fact that the NHL wants a strong local fan base, not one that relies solely on tourists. At the same time Daly stated that Vegas may have issues with creating a fan base a market like Seattle currently faces more hurdles because they have not created any infrastructure for an NHL team to build around including an arena.